Shalit. Petition to hinder deal? 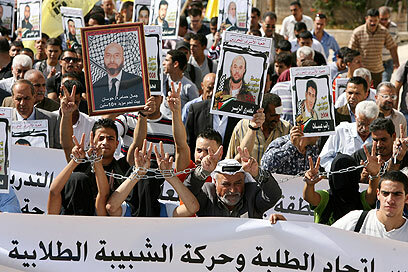 Bereaved families filed a petition with the High Court of Justice on Friday, the first against the Gilad Shalit deal which will see 1,027 Palestinian prisoners being released in exchange for the Hamas-held soldier. They are claiming the deal is a "wholesale release of murderers" and have asked that the implementation of the exchange be delayed. The families are seeking a delay in order to be given more time to organize a petition against their loved ones' murderers being freed. It should be noted that the full list of prisoners set to be released in the deal is only expected to be published on Sunday – two days before the exchange is expected to go ahead. The families have petitioned against the cabinet decision itself claiming it was "unreasonable and disproportionate" due to the "dramatic number of terrorists with blood on their hands being released, including arch-murderers sentenced to multiple life sentences for the murder of dozens of people." The petitioners also claimed that "this release is like none before it – not even in the Jibril deal – due to the mental consequences on the victims and the security threat it creates for civilians and soldiers in the future." They added they were promised, at their loved ones' gravesites that "Israel's hand would find the murderers and carry out justice and here, they find that the other hand is releasing them under the threat of violence that gnaws at and undermines the foundations of justice, democracy and equality before law." Responding to public criticism, the Shin Bet noted that from the organization's perspective it was the best deal they could get. Meir Indor, CEO of the Almagor Terror Victims Association, told Ynet: "There are a number of bereaved families who are categorically opposed to the deal. Some aren't even aware of the fact that the terrorists who murdered their loved ones are going to be released. "Usually they give you time to go over the names, yet not in this case. This deal outdoes all previous ones in the number of terrorists being released and the severity of their deeds." "The deal must be postponed otherwise the complaints will only be submitted after the terrorists are released." 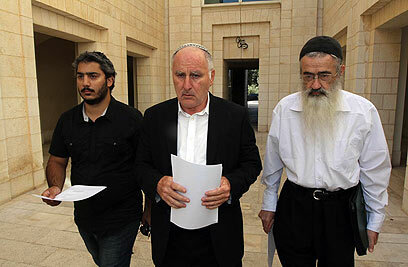 See all talkbacks "Bereaved families petition High Court against Shalit deal "